In the left panel of the WebSphere web console, expand Security > Global Security. 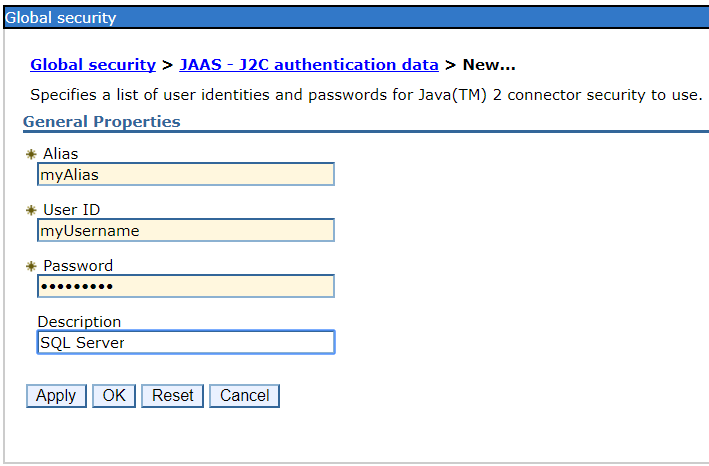 Expand Java Authentication and Authorization Service and select J2C authentication data. Enter the J2C Alias name, User ID, Password, and Description, and select OK.